Wireworld Luna 7 review | What Hi-Fi? The Luna 7 used to be £9/m but has recently had a price drop. 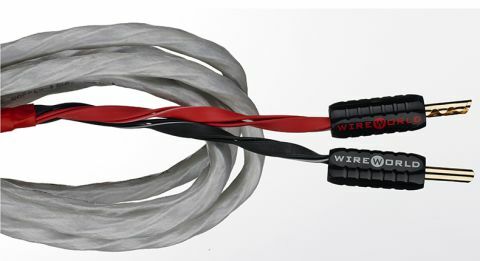 And that has done nothing but enhance our admiration for this fine cable. From the moment you plug it into your system, the Luna 7 allows a keen and ready-to-please presentation. It isn’t over-zealous or too forceful in its approach, though. Play Guns N’ Roses’ You Could Be Mine and the system pours a bucketload of excitement on the listener with the crashing drum kicks, frenzied guitar play and wailing vocal. But it does so without making the music sound unwieldy or reckless. It conveys the eagerness and punch of the QED Ruby Anniversary Evolution but with a touch of added tact and guile. The all-round ability of the Luna 7 means it should sit well with a very wide range of systems – you won’t need to worry about how it interacts with the rest of your kit.